There is a secret that I've been hiding from you. It's a BIG one, too. One that is positively life changing in so many different ways. I'm excited and terrified all at the same time as I head in this new direction. But it's time that I made this leap. It's time that I have faith in my abilities and believe that I have the power to achieve what I truly want most. It wasn't until recently, maybe the last 2 years or so, that I even knew what I wanted to do with my life. What I did know is that I wasn't happy with what I was currently doing. After a lot of deliberation, I finally decided to make a change. Although I consciously decided to do the things that I had been dreaming about, I still hadn't mustered the courage to take the plunge and be completely on my own. I needed a nudge which came about in the form of a lay-off from my office job. That was over a year and a half ago. It was that push that caused me to realize exactly what it was I wanted to do with my life. And that's what I have set out to accomplish during these months of unemployment. This past summer, I finished up a degree in Graphic Design with the Art Institute, which I'm really ecstatic about. It was an amazing learning experience that I gained a great deal from. I wanted to add Graphic Design to my skill set because I've always appreciated aesthetics, and I genuinely wanted to know more about creating compelling designs. Meshing Graphic Design with my love of Photography seemed like a no-brainer to me. I feel as though the two outlets go hand-in-hand and that having both would give me an advantage in the world of working for myself. Photography has been in my life since the age of 10 when my Dad gave me my first 35mm camera. I remember thinking how awesome it was because it had a time/date stamp, talk about old school. Anyhow, it's that one thing that has always stuck with me in varying degrees. Some points in my life I'd be doing it more than others. However, my camera hardly leaves my hands for very long. It's what I absolutely love to do more than anything. So, there's no doubt that this would be something that I would be doing for years to come. It was only natural that it would eventually become part of what I do as a way to generate income. The problem with knowing what you love to do and turning that into a way to create money is that there is a great deal of uncertainty involved in working for yourself. For me, though, there is no other way because I am not going back to what made me unhappy. Not gonna happen! I won't lie to you. I've struggled with a lot of demons this past year that have tried to prevent me from embarking on this new journey, but I somehow managed to clear the hurdles put before me with as much grace and humility as I possibly could. Now, here I am, ready to reveal what has materialized from all my hard work. 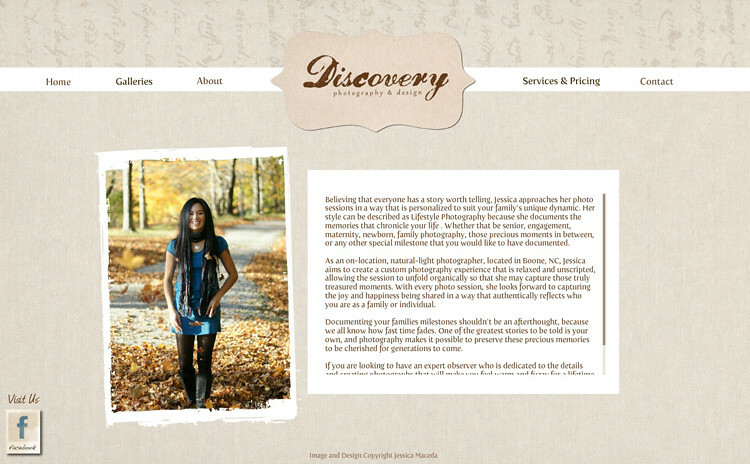 Behind the scenes, I have built and designed a new website for my photography/graphic design business. Instead of using my name, I decided to go another route. 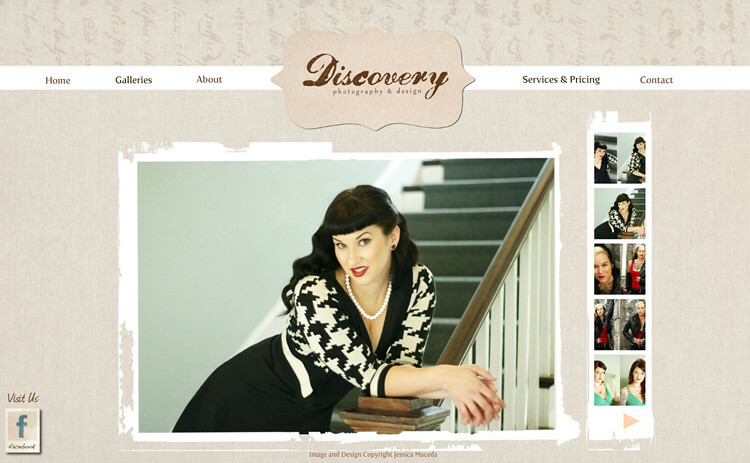 The name of my business and website is Discovery Photography & Design. This new path has been one filled with discoveries and realizations about myself and my dreams. It seemed so fitting for me to give it this name. My focus will be on portrait photography because I have learned that I absolutely love to shoot people. I'm a sucker for capturing the love that families share for one another. As far as the design part of it goes, my goal is to work with small businesses to develop designs to suit their specific needs. 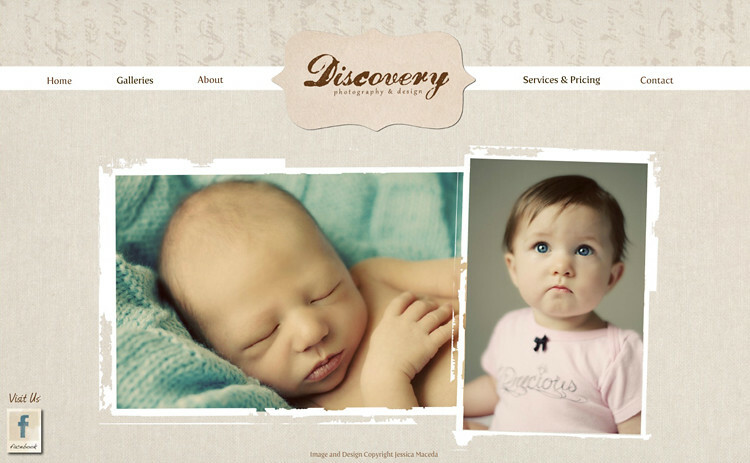 I excel at concept development and bringing those visions to life through graphic design. I have come to love it as much as my photography. I welcome any and all feedback that you have to offer. And I truly appreciate the support you are willing to give (and have given thus far). If you know of anyone who could benefit from my photography or graphic design services, please share my information with them! I also invite you to “LIKE” the new fan page I have set up where I plan to share sneak peeks of recent photosessions, as well as other great photography & design related things that happen to catch my eye. I have watched your career transition.. 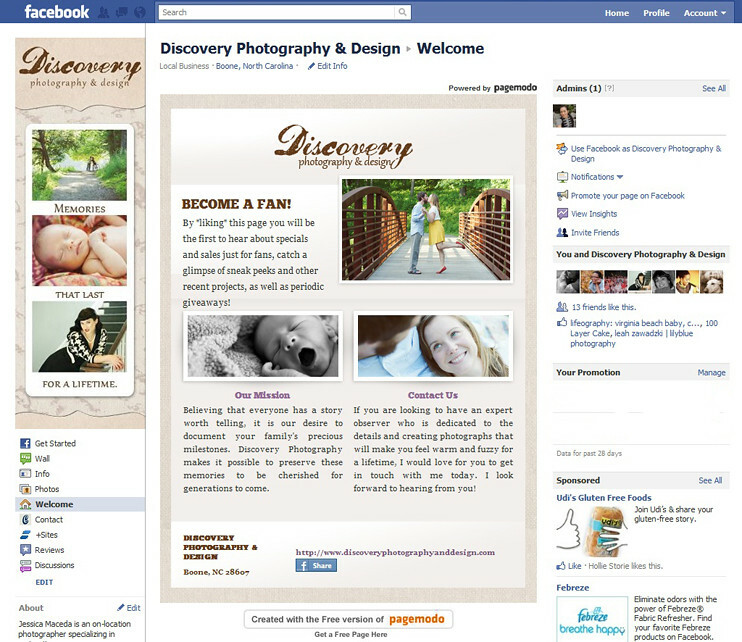 Your photogrpahy evolve.. I have followed your work.. on occassion been part.. I have answerd the phone and listened to both your joy throughout the whole process.. and your anxieties.. I offered a nudge when needed and a push when called for..and I brag about you every chance I get..oh how I brag..
Congratulations! You have a beautiful eye for capturing the soul and essence of whatever it is you shoot. Lucky those people who have you to shoot them. If I lived closer, I would definitely hire you. I will get the word out to anyone I know in the area. Best wishes for your new wonderful business!